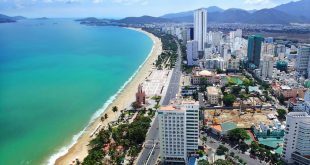 The second Vietnam Marine-based Economic Forum 2011 (VMEF 2011) will be held in the central coastal city of Nha Trang, Khanh Hoa province on June 8. 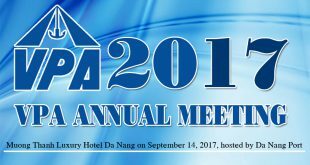 Themed “Momentums and challenges for the development of Vietnam ‘s coastal economic zones”, VMEF 2011 will discuss the country’s marine-based economic development strategies and promote investment projects in central coastal economic zones, including the Van Phong Economic Zone in Khanh Hoa province. It will also offer a chance for domestic and foreign investors, experts and mass media to get better understanding about the marine resources potential and prospects of central and southern central provinces . Senior Vietnamese experts will gather to talk about marine resources of Vietnam and the region during the forum, which is expected to attract 400 representatives from ministries and localities, economic experts and leaders of domestic and foreign businesses. Since 2011, VMEF will become a main programme of the Vietnam Sea and Islands Week held annually by the Ministry of Natural Resources and Environment./.